The numbers continue to be so big that they’re hard to understand–$11.1 billion in profit, and $51.5 billion in revenue. But beyond the numbers, this is the day where Apple has to disclose a bit more about itself than it does on any other day, outside of a product-launch event. Between the numbers it releases and the discussion on its hour-long call with financial analysts, there are usually some interesting tidbits that indicate where Apple’s going and what its management team is thinking. So here’s my list of the most interesting things to come out of Tuesday’s quarterly results. As a business, Apple is a ship. A ship that has to battle headwinds. A half dozen times during the conference call with analysts, the gusts of wind blasting right into the bow of the USS Apple were mentioned. In this particular metaphor, the wind is actually unfavorable foreign-exchange (FX) rates that can hurt Apple’s business. Right now the dollar is strong. And that’s actually bad for Apple, because as the dollar grows in strength compared to other currencies, it causes serious price imbalances. When the new MacBook was announced back in March, it was priced at $1299 in the U.S. and $1549 in Canada. On March 9, CA$1549 was worth about $1221, so the two prices were roughly in sync, though profit margins would be a little bit lower in Canada than in the U.S. But as of Tuesday, that MacBook still cost CA$1549—but it was only worth $1167. 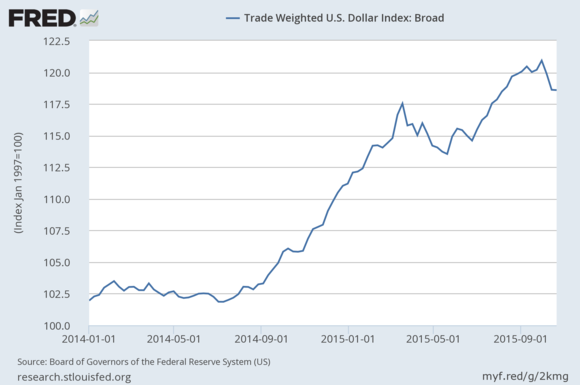 The strong U.S. dollar is the equivalent of a $54 price cut on every MacBook sold in Canada. A strong U.S. dollar can cause headaches in an international business. In other words, Apple is actually hedging in currency markets to protect itself from big swings in foreign exchange rates. It sometimes re-prices products, as it did in Russia a while back, but generally it appears reluctant to do so. For example, Canadians might not love it if that CA$1549 laptop suddenly cost $1724. However, new products are usually priced with the current rates in mind. The new $149 Apple TV costs CA$199 in Canada, which based on this week’s exchange rate is almost identical to its price in the U.S. The point is, a strong U.S. dollar can be difficult for international businesses like Apple, especially those that are trying to grow aggressively in some international markets. And so unless and until the dollar softens, we will continue to hear about headwinds battering the good ship Apple. Wall Street loves growth in a way that can seem weird to regular people. While our eyes bug out at that $11.1 billion profit number, analysts will always be more concerned over Apple’s guidance for next quarter’s earnings and the hope for continued future growth. This is just how stock prices work: Expectations about how well Apple will do are already built into its stock price, so Tuesday’s results won’t do much to affect it. More important are hints of where the company is going, so investors know whether there’s more growth ahead or if Apple’s slowing down. 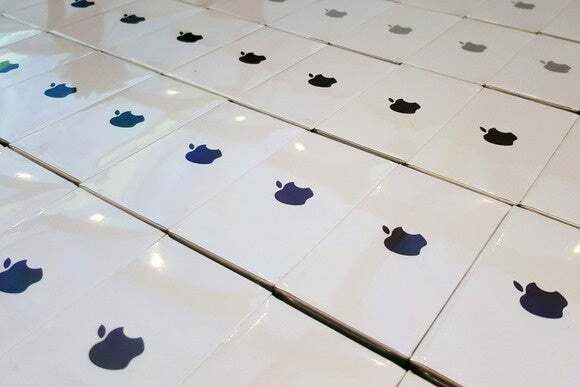 When asked about future growth–by an analyst who was a little spooked by, you guessed it, Apple’s foreign-exchange headwinds–Apple CEO Tim Cook gave some specific examples of why he was optimistic about Apple’s potential for growth. The iPhone is obviously a hugely successful product, but that oddly makes it a topic of concern for investors who aren’t convinced it has much room to grow. Cook disabused them of those notions by pointing out that 30 percent of new iPhones were sold to Android switchers last quarter. In addition, Cook said, only “in the low 30 percentages” of owners of iPhones older than last year’s models had upgraded to a new iPhone. That might seem troubling–why aren’t people getting new iPhones?–but in Cook’s mind, it’s actually good news. Those are people who haven’t upgraded yet, but probably will, meaning there are a whole lot of future iPhone sales just waiting to happen in the next year. “We feel like we have a very open field in front of us,” he said. Other reasons for continued optimism about Apple growth: The company’s performance in emerging markets. And again, something that wouldn’t seem to be good news–a low market share in those markets–is actually an advantage when you’re talking about growth. There’s nowhere to go but up! Cook also pointed to the low penetration of high-speed LTE networks into emerging markets as a good sign, because as those faster networks arrive, Apple will be prepared to compete for people upgrading their phones to take advantage of the new networks. 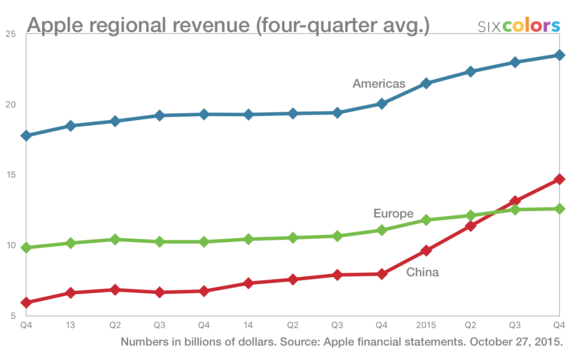 Yes, China is a big deal for Apple when it comes to growth, but it’s not just China. “I was really impressed last quarter with our progress in Vietnam and Indonesia and India among others,” Cook said. Conventional wisdom says that computers are boring and smartphones are everything, and yet here goes Apple setting the record for the most Macs sold in a single financial quarter, with 5.71 million new Macs. 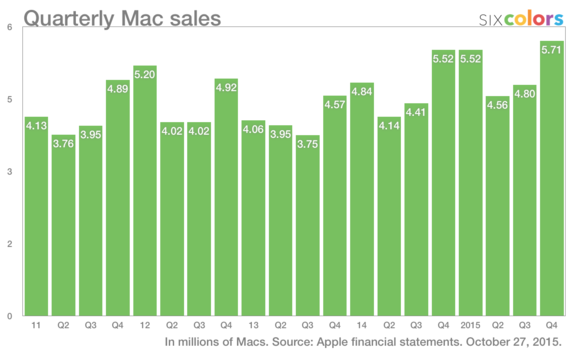 Even when you take seasonal variation out of the equation, Mac sales and revenue just keep climbing up and up. It’s not a business that will make you faint away dead when you see the numbers like the iPhone will, but it’s a business that has generated $6.4 billion in revenue for Apple in the past 12 months. This is sort of a running thing these days, where at some point during every quarterly analyst call, Cook will reiterate how important he feels China is to Apple’s business. As he did last quarter, Cook went out of his way to say he wasn’t worried about the fundamentals of China’s economy, and he did the same Tuesday. The new game to play may be when Apple will first book more quarterly revenue in China versus the U.S. market. I’m going to guess sometime during Apple’s 2018 fiscal year, but don’t hold me to that. If you were looking for some hint of how the Apple Watch is doing, you went away disappointed. We really didn’t get much more than Cook referring to the watch as a future path for growth that’s “just getting going.” No, really, that was pretty much it. But the fact is, last quarter’s not important for the Apple Watch–it’s the current quarter that will begin to tell the tale. In past calls, analysts have been really worried about the future of the iPad, but it seems like they’ve just decided they’re not going to worry about it for now. Nobody really brought it up on the call. The silence on the topic was so deafening that finally Cook himself, completely unprompted, said, “Y’know, even, nobody’s asking me about iPad on the call.” Then he tossed out that 68 percent of iPad sales in China have gone to people who have never bought a tablet before, which was a good stat, but you definitely got the sense that Cook wanted to tell everyone again about how bullish he is about the iPad, and nobody wanted to take him up on it. In any event, the iPad Pro will make things much more interesting… sometime in November. When, exactly, we still don’t know. In his prepared statement at the beginning of the call, Cook could’ve announced a more specific release date for the product, but all he said was “next month.” All the people who can’t wait to get their hands on the iPad Pro, the good news is that November’s less than a week away. The bad news is, it’s 30 days long.